They are relatively decent looking, concept 1 looks like a modernised early 2000’s car. Concept 3 would be my choice, as, personally, I like all the little appendages and complex surfaces on today’s cars; F1 should be at the extreme, and all those little bits show them working every part as hard as possible. I hope they don’t get retro for that reason, F1 isn’t the pinnacle of racing technology with a throwback, or a car that’s as simplistic as an F2. There also has to be freedom for individual interpretation, we should be able to tell the cars apart, basically! I don't think the wings on the Lola cars were as big and iirc they were the better car as they had very well developed under body tunnels. I was only asking if jjn had seen the champ car racing in the late 90's, not questioning his academic credentials. I wonder how the large and well funded aero departments at all the teams react when they see images like these. Should I read an implicit message in all this for them: you guys are too expensive and your services are no longer required. Btw for anyone interested, here is the floor from a Lola Champ Car. Seems to me that is not a "well developed tunnel" at all. Certainly not in the way that F1 and Group C did tunnels, anyway. Considering this is from nearly 20 years ago it's quite nicely developed - the Tunnel is even partially enclosed. Those things were dammed effective and the racing, even on street circuits, was excellent. Just look at the tiny Oval wings they ran - imo this gives an excellent indication of how much downforce the underbody generated. PS, my recollection is that they were generating something like 2,000kgs of DF just from the underbody tunnels @ 200mph. Those Indy floors were very well developed and optimized. Really cool aero! F1 and group C didn't do things the same way. There's an interview somewhere with the designer of the Porsche 962 group C about underbody aero - they tried copying the F1 ground effect design and didn't get anywhere near the downforce they expected - in fact the group C cars worked better when air was coming into the diffuser from the sides - which F1 prevented by using the side skirts. Performance differences look huge but all the cars are well within 107% at every race, typically there's only around a 3-5% discrepancy on one lap pace between top and bottom teams. The margins are so small there wont be a massive difference, there will be some differences but the bulk structure of the wake will be very similar. The main cause of downforce loss is dynamic pressure, i.e. drag, so I can't envision teams do any work to make life harder for a following car - because it hurts performance. Typically they don't care what comes off the back of the car because that's spent air, they'll focus their energy/money where it can influence performance. We have to wait until the 2021 rules are released to have any idea what the impact will be/what teams can do. I'm of the belief this is really the only way to help racing. 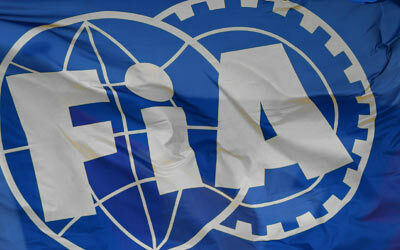 Teams supply FIA/FOM with a model of the car which will race for FIA/FOM to test in a common CFD - or FIA/FOM request a certain raft of CFD data to check compliance. As I said teams typically don't care what comes off the back of the car - a rule like this would force them to. If your new package doesn't comply you have to use the old one. It could go hand-in-hand with a budget cap where updates are restricted through the year, giving time for all the studies to be completed. I'd ask you a question you should know the answer to.. What does the "G" in F.O.G. stand for? Liberty is not the whole "G". They still need consensus. Hooray!!!! The current cars are waaaay too long! And underbody tunnels returning with simpler Wings is imo very good news too! Although the lack of fixed skirts is a bit silly, the Champ Car's had partially sealed tunnels with fixed side-skirts which worked great back in the day. relying on vortex generators to seal the floor sides seems counter intuitive to me. I'm all for shorter wheel base and (even) more power! I am going to save this picture, and put it next to whatever the engineers dream up. It always keeps amazing me how the creativity of the engineers surpasses that of the rulesmakers. Not in a negative way, for me it is one of the best things in F1.